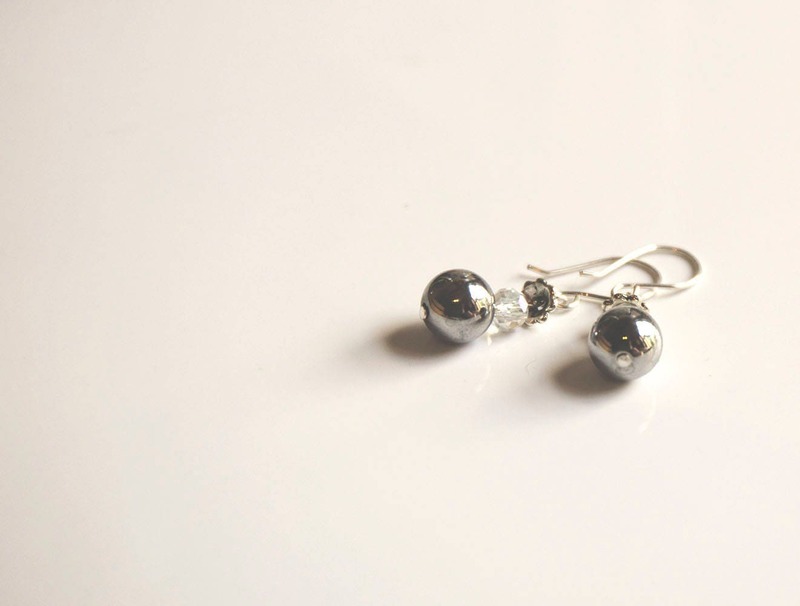 Sterling silver hematite and Swarovski crystal drop earrings, boho, gypsy, hippie, surfer style. 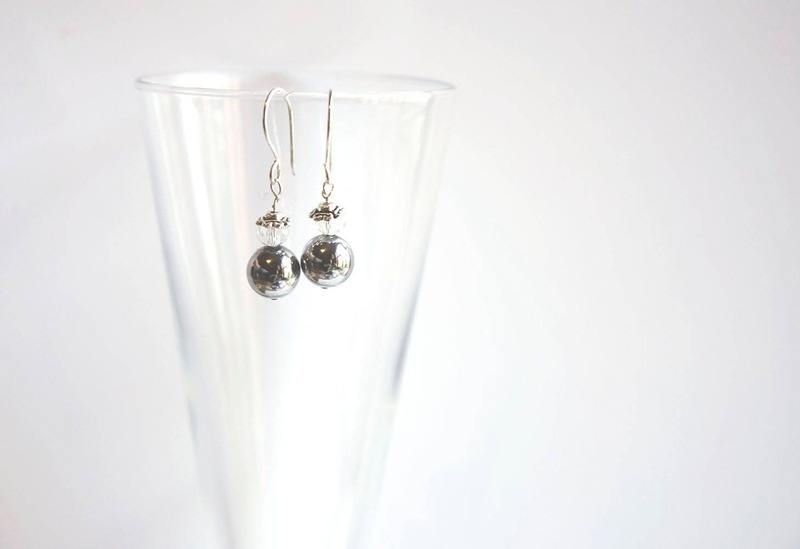 A pair of handmade sterling silver earrings, incorporating hematite, Swarovski crystal, and Tibetan silver flower toppers. On handcrafted sterling silver ear wires. Appropriate frippery and elegant sparkle, perfect for reflecting the season's twinkling lights.